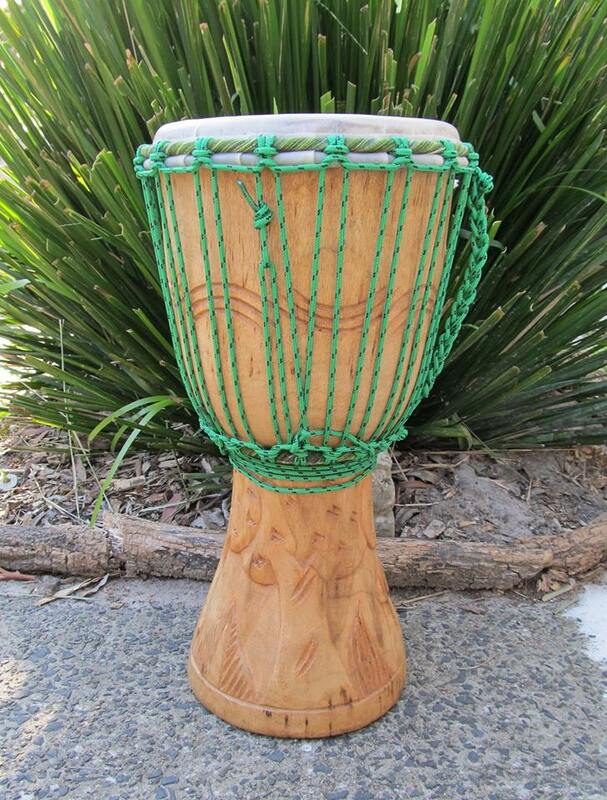 Drumbala sell quality Djembe drums from Ghana Africa and plantation Mahogany Djembe drums from Indonesia. 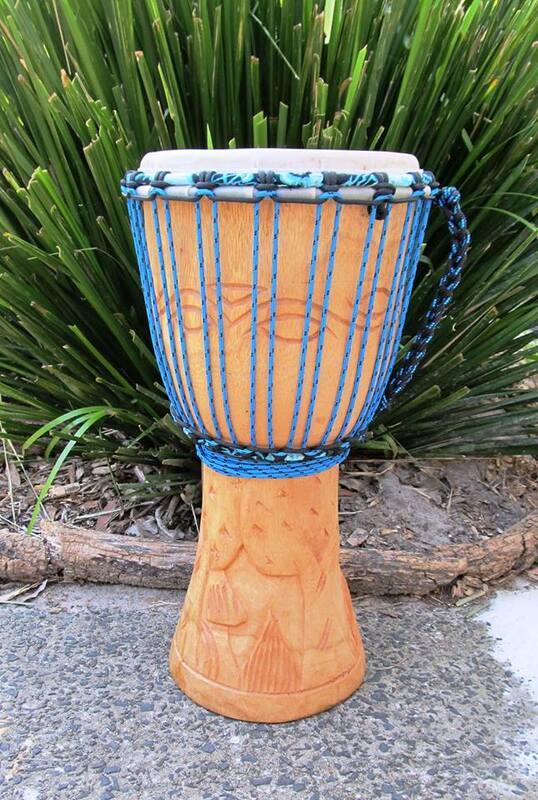 Our Ghana range of Djembe drums are hand carved and are known for their lightweight body and all round sound. Fitted with a Fiberskyn head you will love the sound of these beautiful African drums with a big bass , warm tones and high slaps. 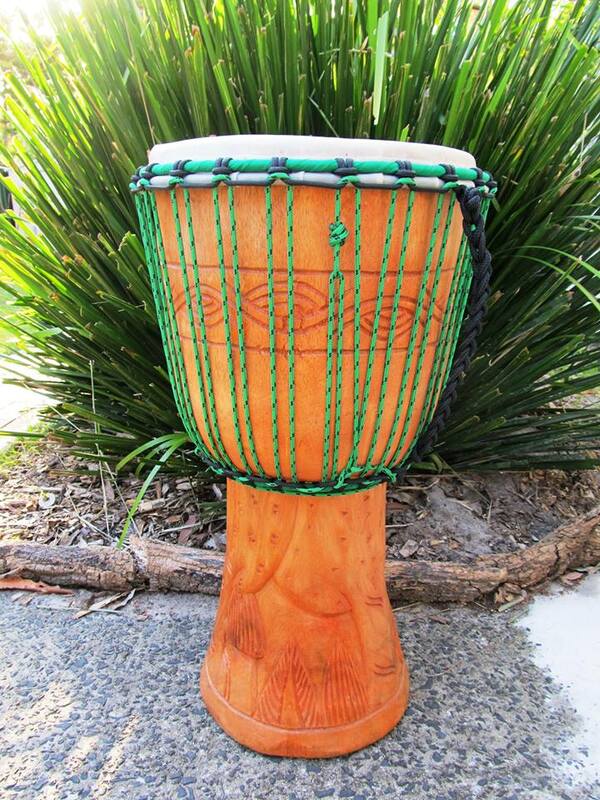 Our Mahogany range of Djembe drums are sourced from plantation mahogany in Indonesia. Every drum has its own unique carving and is also fitted with a Fiberskyn head , the sound of our Mahogany range has a earthy , deep and rich tone. Feel free to check out our stock below. If you would like to purchase a drum ,want to arrange delivery,Shipping or need help choosing a drum, give Katy or Warren a call on 0423 548540. Strong durable djembe drum bags. Great for protecting the drum head and use for a quieter drum practice. Comfortable support for stand up drumming as well as sitting down. 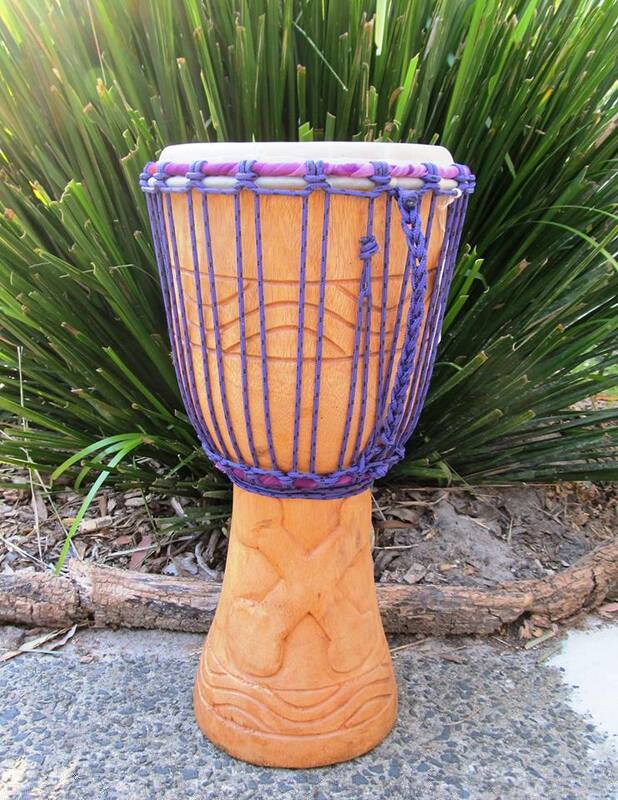 Great for adults and children to support and hold the drum in place. Place the strap around the hips and connect the clips to either side of the downrope of the drum. Can be used as a shoulder strap for short time stand up drumming. 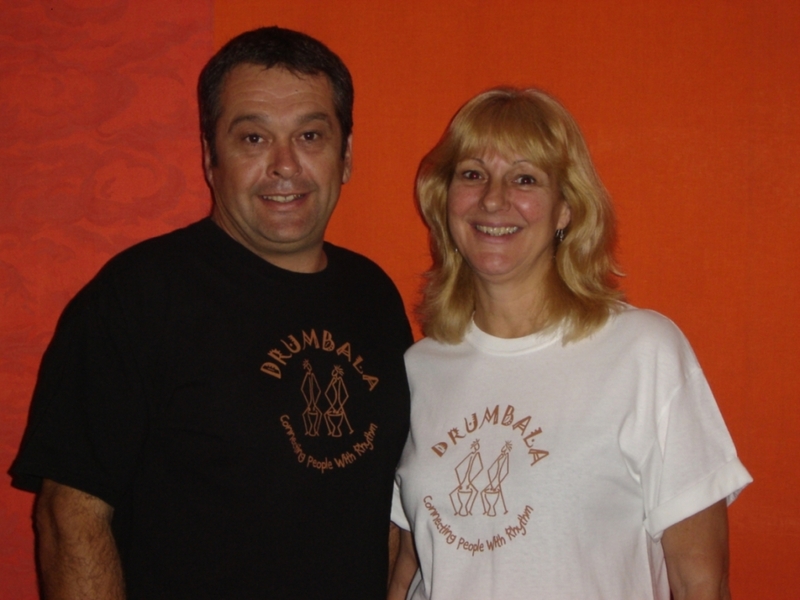 Adult and Kids t-shirts have the Drumbala Logo on the front and "Have fun with a Drum" on the back.